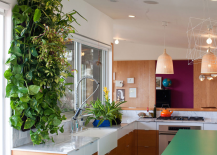 Spring is in the air, and if you’re eager to bring a touch of greenery into your home, a vertical garden is the perfect way to go about it. 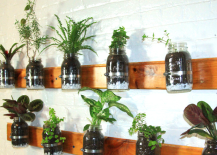 Whether you’re a seasoned gardener or a tried and true brown thumb, there are many options for all skill levels. 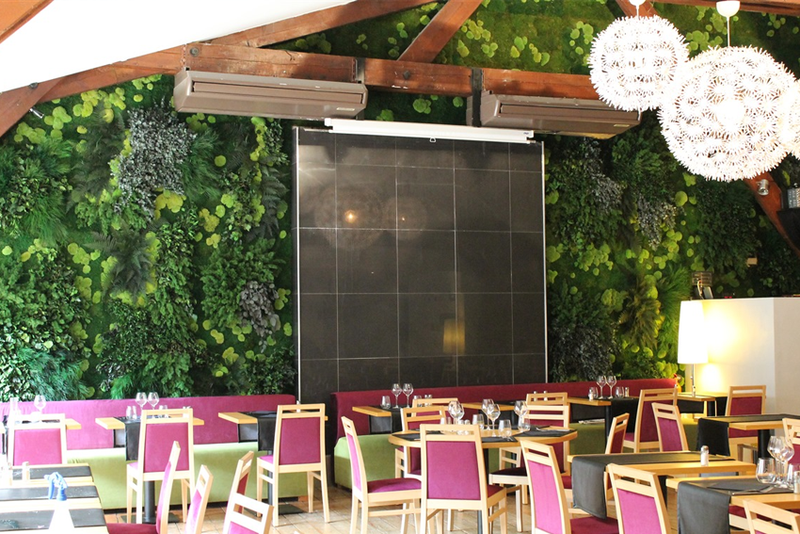 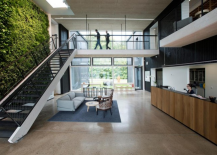 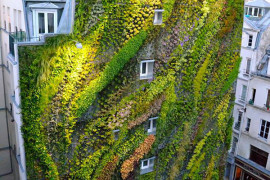 Read on for some inspiring examples, from massive living walls to compact modular versions you can pop up in no time. 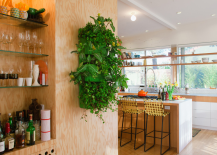 The folks over at Woolly Pocket were some of the first pioneers to bring DIY living wall planters to the masses. 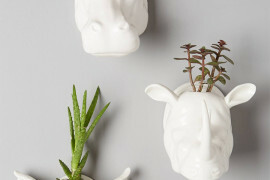 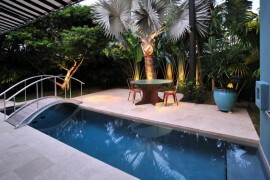 They offer a variety of designs in all shapes and sizes that you can mix and match all over the house. 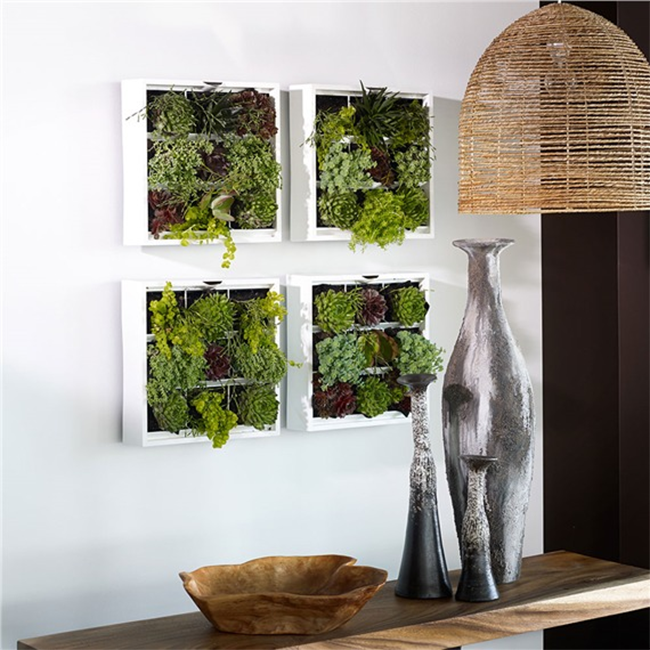 If you’re a sucker for succulents, this living wall planter kit is the perfect addition to your home and makes creating your own vertical display of greenery a snap. 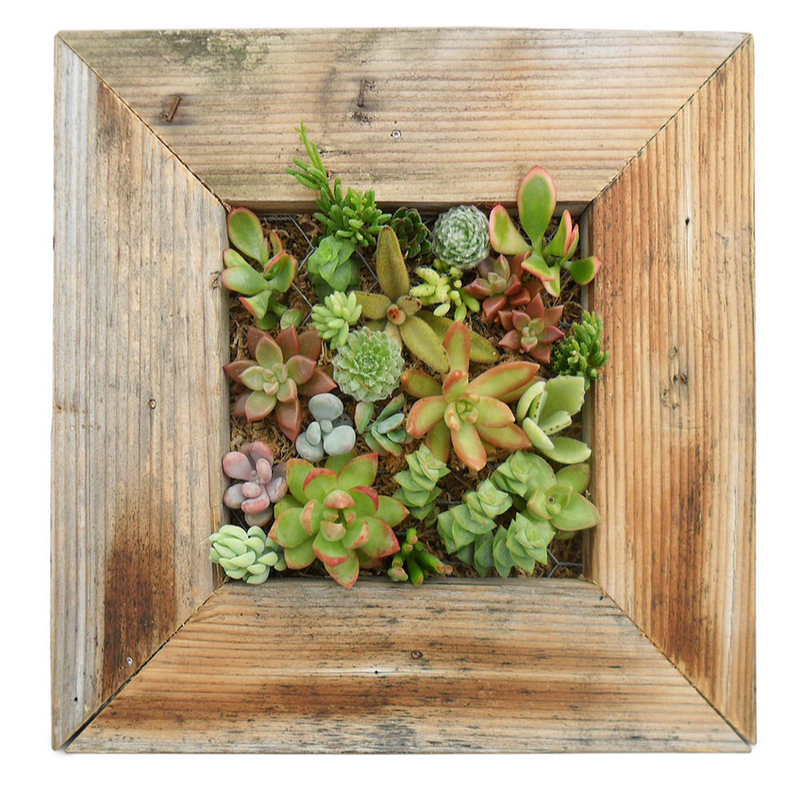 We also love that the frame is made of reclaimed wood. 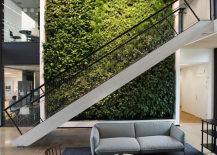 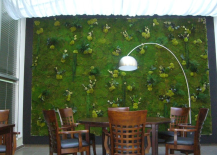 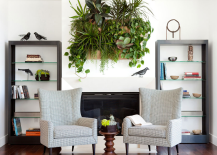 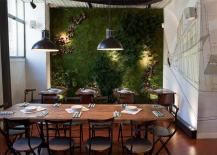 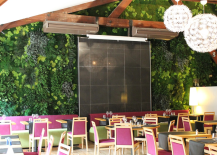 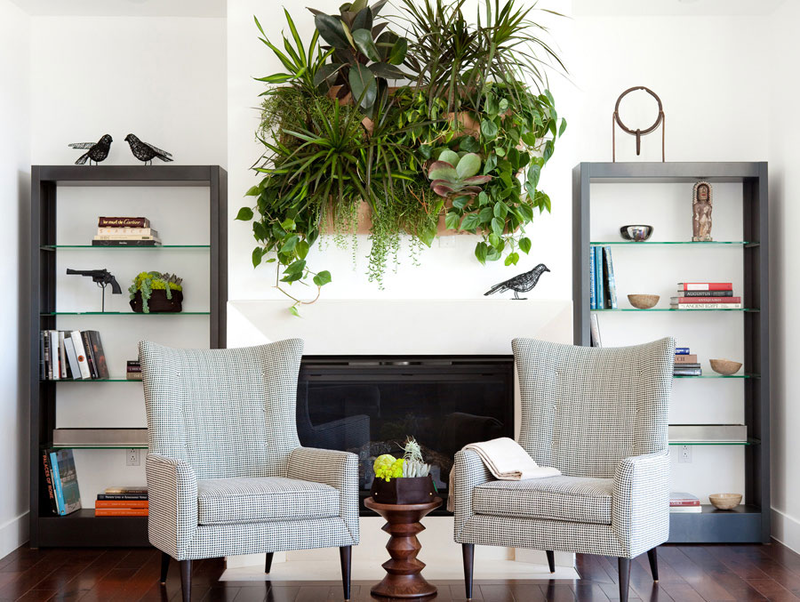 If you love the look of green walls but are a bit intimidated by the idea of constructing one, take a tip from Greenery NYC. 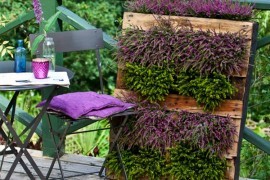 They lined up a row of potted plants to create the drama of a vertical garden without the hassle. One of the only ways to improve a living wall is to make it edible, which is exactly what this mason jar herb garden does. 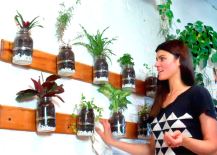 Head to Inhabitat to see a video featuring model Summer Rayne Oakes on how you can make one for your kitchen! Made of recycled plastics, this compact modular system lets you create your own customized green wall in whatever configuration works best for you. 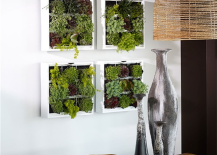 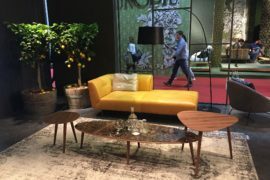 You can use all four modules together or break them up to suit your space. 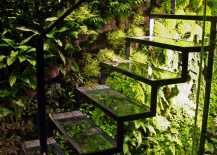 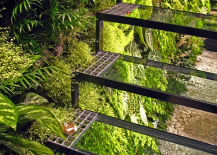 Doesn’t the combination of this Patrick Veillet Studio vertical garden and glass staircase remind you of an over-sized terrarium? 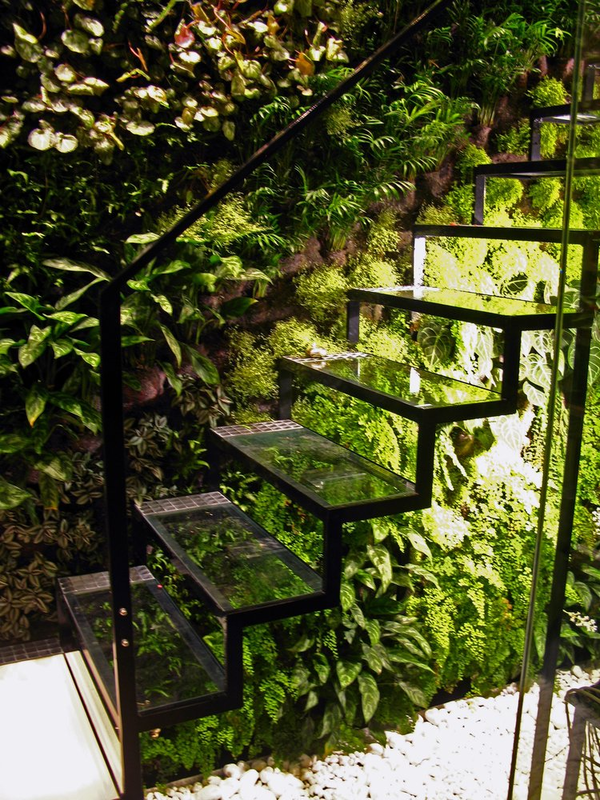 What an energizing sight to see every time you run up the stairs! 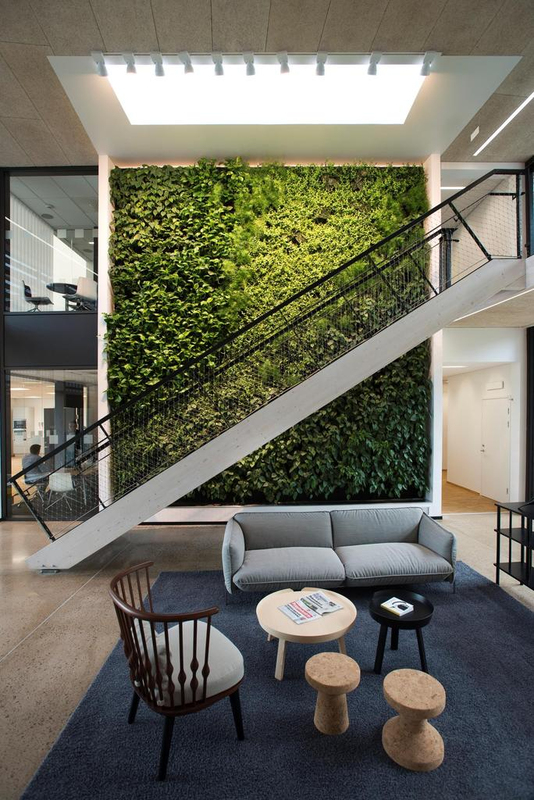 Construction giant Skanska’s Helsingborg offices feature a jaw-dropping vertical garden that spans almost the entire width of this lobby/meeting area. 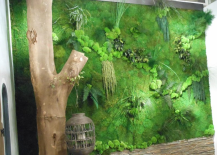 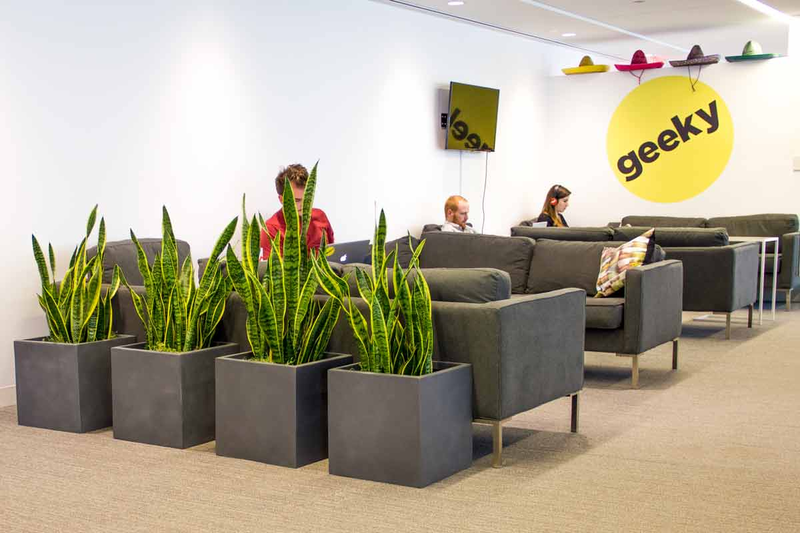 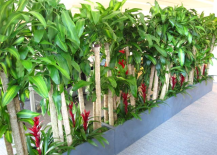 The lush wall also helps to purify indoor air for employees. 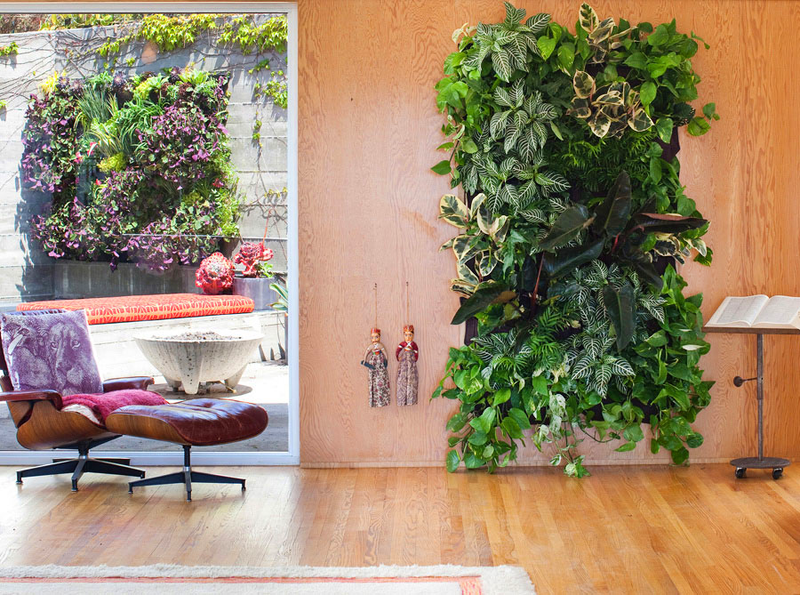 Don’t think that having a brown thumb excludes you from being able to enjoy the beauty of a green wall. 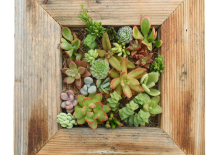 Flowerbox Nature makes verdant displays using preserved flowers that require no water or light. 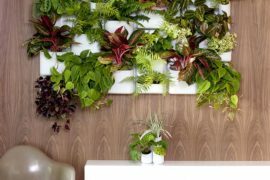 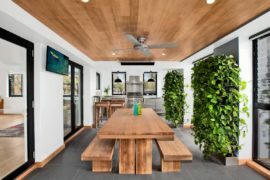 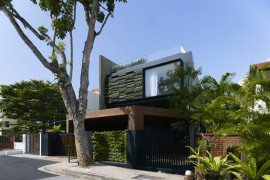 Whether you go out with a massive vertical garden or start with a smaller green wall, these verdant garden alternatives will add a splash of greenery to your space.